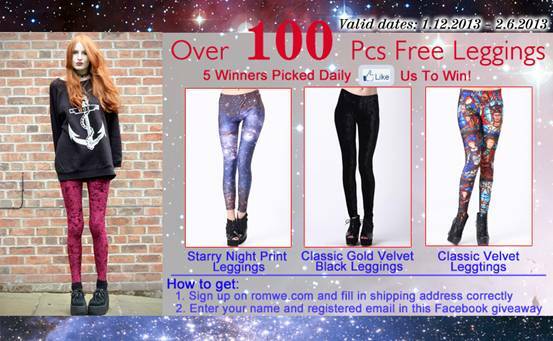 To show their gratitude for your undying support, Romwe is holding a new giveaway wherein 100 pcs of super awesome leggings will be given away. Like them on their Streetbelle facebook account. Make sure your shipping address on the Romwe website is valid so you can get the package successfully, they won't send twice to the winners. Oh my! The cosmic leggings!! !